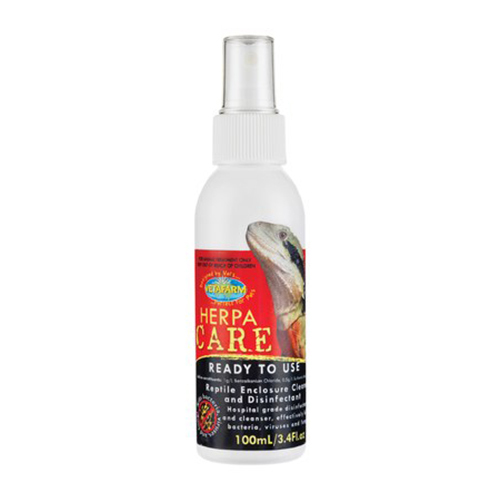 Vetafarm Herpacare is a reptile disinfectant and cleaner that effectively eliminates bacteria, viruses and fungi on coming in contact. It gives a Hospital B grade standard of disinfection. The disinfection ensures safety and is effective in dirty situations. It keeps terrariums, vivariums, equipment and incubators clean for the reptiles. Remove soiled contaminated particles like faeces and leftover food. Allow 5 minutes for disinfection to occur and then use as normal. A decent product that gives my pet cat long term protection from bacteria and fungi and viruses.